This header and entry marks a new page category under “Is It Art?” – VW Art. I base this on my love of the Kombi/Combi VW van. 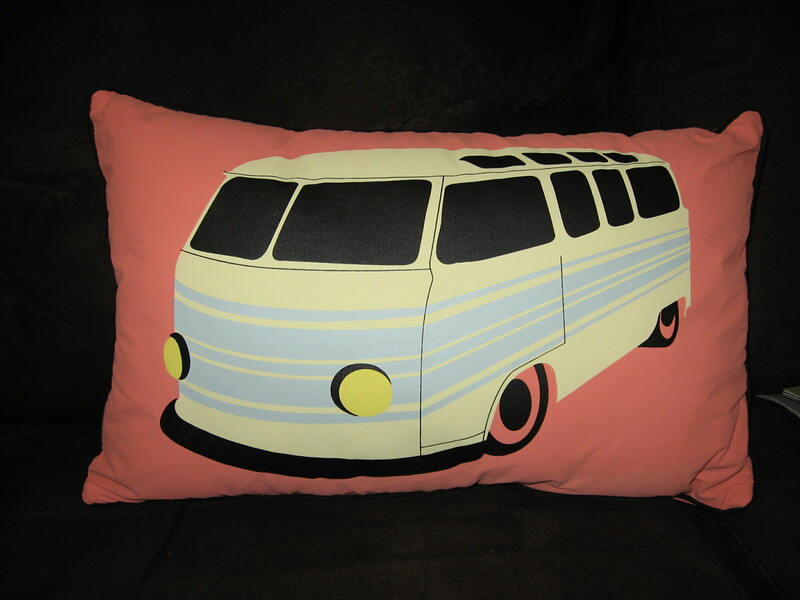 In fact we are a family of devotees of this van and friends and family alike find Kombi paraphernalia for us. So, when I look at the collection, I realise that artists are at work creating Kombi items. Here’s one example. Some years ago, a friend sent us this Martin Wiscombe designed postcard for our enjoyment. Martin, born and raised in Lyme Regis, Dorset, has studied illustration and design in the West Country prior to his transition to London. After a successful career in advertising, Martin embarked on a new life painting and illustrating in Wiltshire. He took inspiration from the farmland around him and specialised in paintings and carvings of farm animals, and published a book about the old English rare pig breeds, “The Old Pig” (2000). He now lives and works in rural France with his wife, dogs and horses. Obviously he also likes Kombi vans. (Well, my story and I’m sticking to it). Also, couldn’t resist it, so I thought I would also include a picture of one of a pair of cushions in similar motif. Of course there is always Kombi’s in the movies. How about the 1969 movie – “Last of the Ski Bums“. 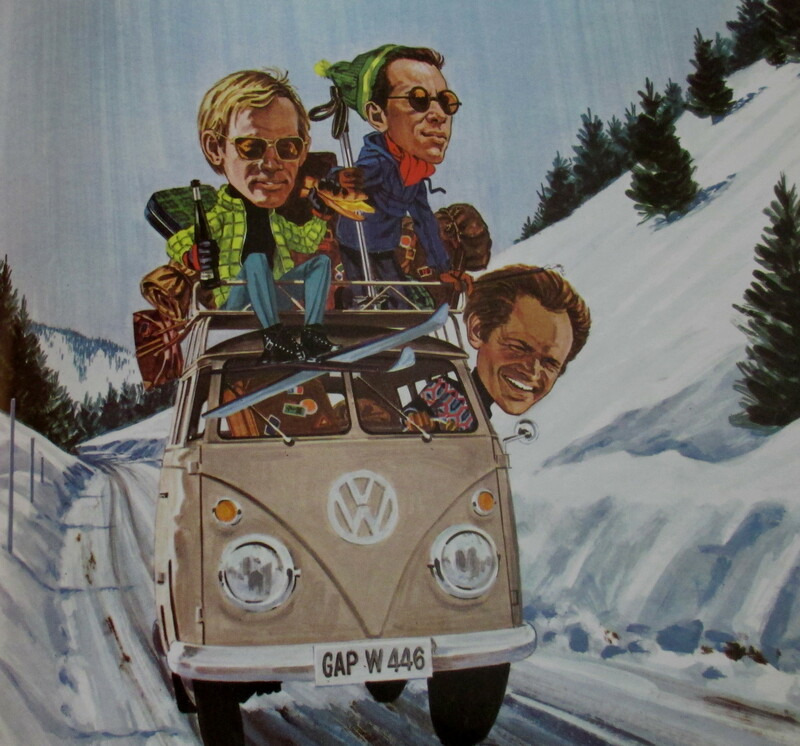 According to the Original Motion Picture Soundtrack album cover, there’s a splitty on its way to the snow! Here’s my original post.